These pictures were taken at Grounds For Sculpture in Hamilton, New Jersey. 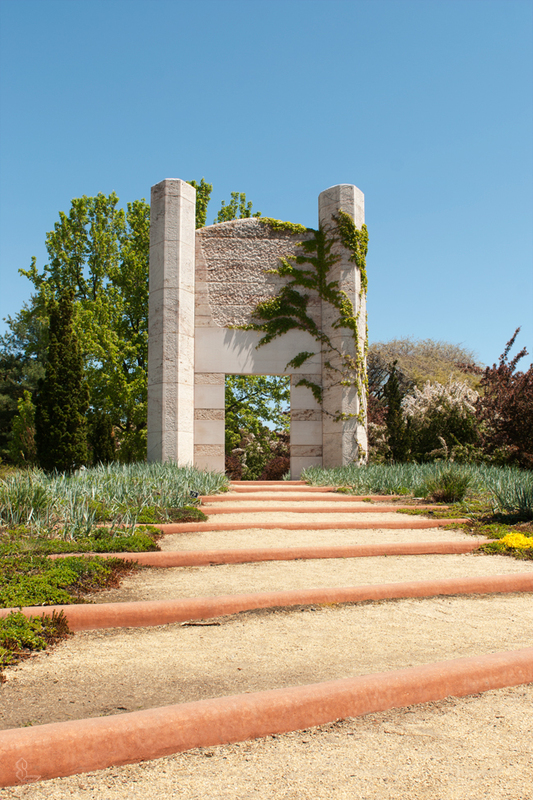 Grounds for Sculpture is a 42 acre sculpture garden that promotes the understanding of contemporary art. 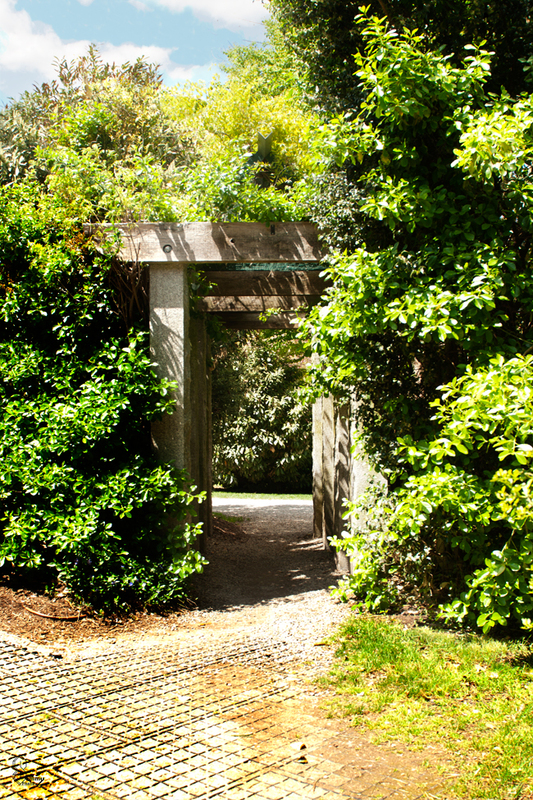 Above is one of the first pieces of art you see when entering, which signifies the entrance to the vast garden of art that someone is soon to experience. Grounds for sculpture not only allows, but encourages photography of various sculptures like this one, which incorporates nature with wood and stone to show that shade is solidarity. 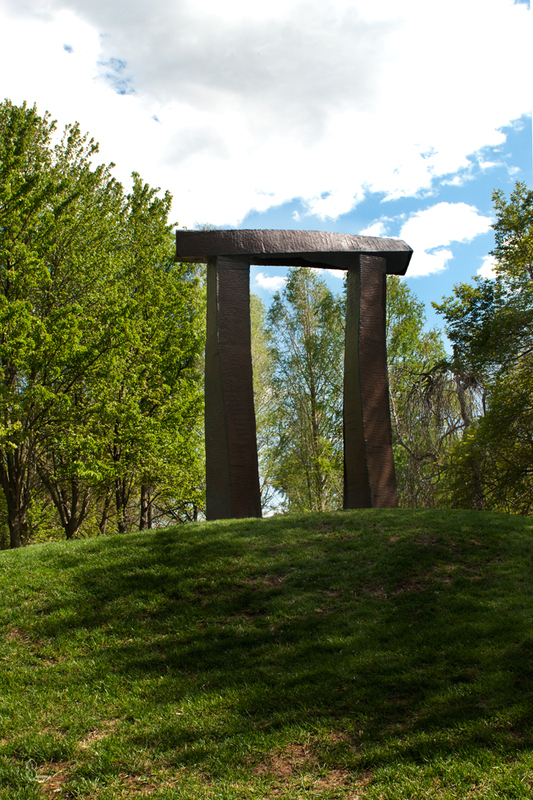 Perched on a hill, this sculpture stood out among the vibrant trees and blue sky, showing that something so simple can be quite the eye catcher. 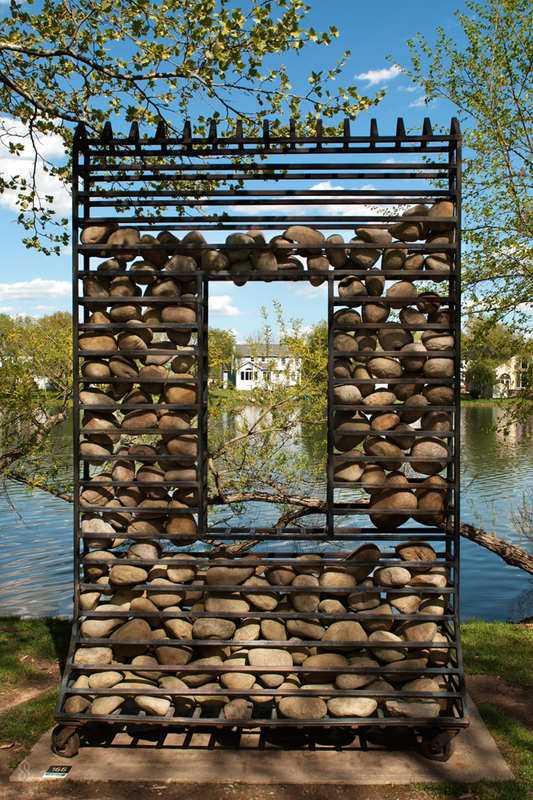 This sculpture is an interesting piece on the lake which uses rocks as a barrier with a window in the middle looking out to the quaint homes on the water.